Can't believe its April and I'm still wearing a winter coat. 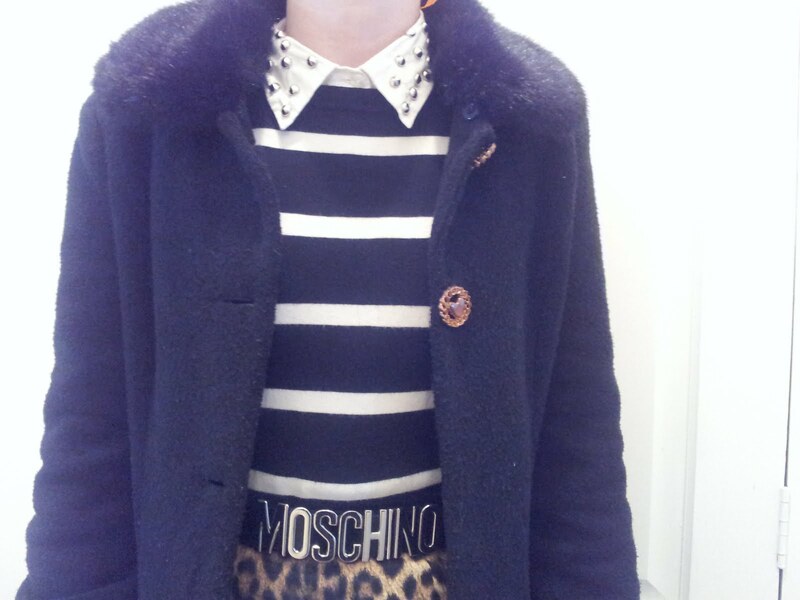 This black coat with fur collar and cuffs was from Forever21 in New York about 4 years ago... I changed the buttons to gold round buttons with hearts. 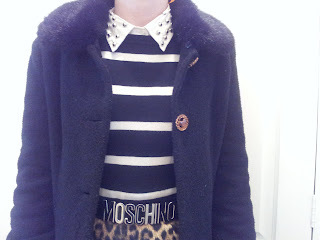 This leopard Moschino skirt was my mums from about 20 years ago, it's one of my most favourite hand me downs.